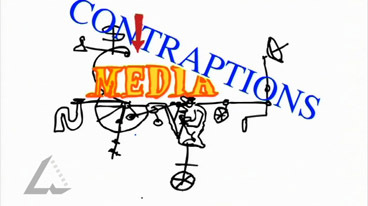 create a poem, diagram or cartoon of their own media machine. How does Petty represent the evolution of the media? Discuss his visual representation of each form of media in terms of cartoon images, sound and narration. What point of view does Petty present about the media? Do you share his view? Compare this cartoon with Bruce Petty’s political and social cartoons from newspapers. In what ways does this cartoon mirror conventions of the Petty cartoons featured in newspapers? Discuss caricature, satire and exageration as stylist elements of both. What role do newspaper cartoons play in informing debate about current issues? Are cartoons more or less powerful forms of commentary than text? Create a representation of your view of a particular form of media or media today: a poem, story, article, diagram or cartoon. Describe or illustrate the connections between the form of media (TV, radio Film, Press, Digital etc) and the producers, audience issues etc. Read Media 1 by Roger Dunscombe, Melinda Anastasios- Roberts, Juliet Francis, Karen Koch, George Lekatsas and Nick Ouchtomsky and Media 2 by Roger Dunscombe, Melinda Anastasios-Roberts, Kevin Tibaldi and Andrew Hyde. Heinemann Harcourt Education, Port Melbourne, 2007. Two recommended texts for classroom use for discussing representation as well as many other key media concepts that relate to this clip. Go to the books online at Heinemann Media for more detail.